With studies on transit-oriented growth and traffic patterns completed, the City is now poised to take the next step by seeking a “master” developer for multiple sites around Main Street and the New Rochelle train station. 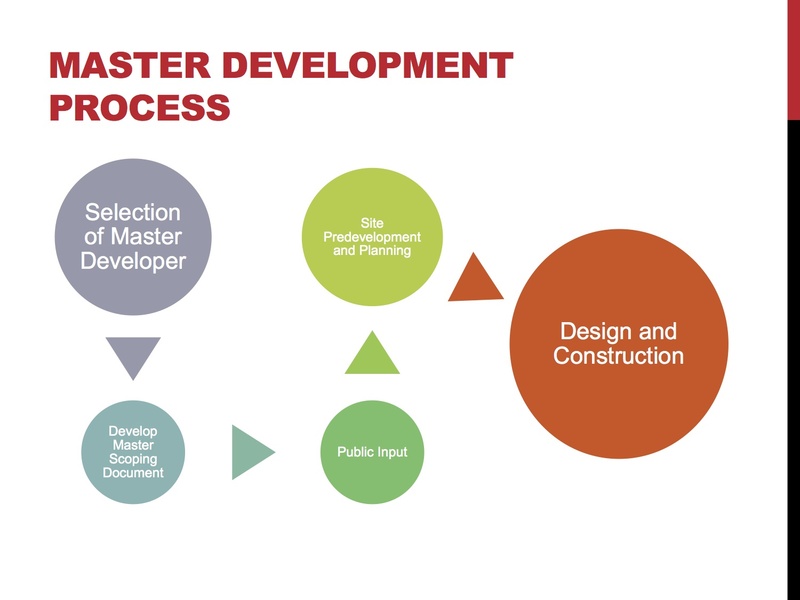 Compared to the traditional project review and approval process, master development agreements typically encompass a wider range of locations, a greater degree of flexibility, and an enhanced public-private partnership during initial planning stages. It’s a model that’s proven successful in many places, but is new to New Rochelle. As this week’s presentation to the City Council illustrates, there’s a lot we can put into play, with publicly-owned properties serving as the core of potentially larger redevelopment areas. We expect to issue a Request for Qualifications for master developers by May of this year, with the aim of making a selection around the end of summer. The redevelopment process itself will, of course, take much longer, and include extensive community input, as we work to match an idealized vision with the realities of the marketplace. The City Council is unanimous in its enthusiasm for this approach, a level of consensus we rarely experience when it comes to economic development. I am excited, too, about the possibilities. But it’s important to keep in mind that putting shovels in the ground will inevitably entail compromises and trade-offs – and that’s when the choices become more difficult. The presentation to Council also noted options for the Echo Bay waterfront. With the prior proposal from Forest City now set aside, the Council must determine how to proceed. The big immediate questions concern the scope of properties to be included in a future development agreement and whether competition should be open to all interested parties or initially limited to developers who have already submitted proposals of one kind or another. The Council is still wrestling with these issues, but is likely to make some determinations soon.